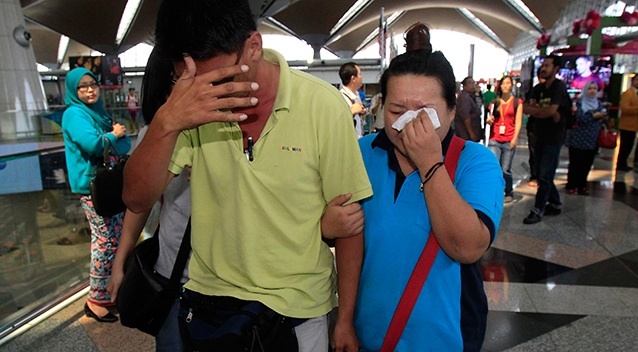 Passengers in the missing Malaysian aircraft Flight MH370 may have had death experience during the plane's sudden rise to 45000 feet and falling to 23000 feet, after it changed direction from Beinjing and headed to uncertain direction in the west. Now a new calculation that the plane may have been hijacked, almost as viewing what may have happened to the plane as an act of terror has emerged. One of the reasons - based on satellite signal received from the plane - that had made analysts abandoned earlier submission that the Malaysian aircraft Flight MH370 had no terror connection. The Malaysian president, Najib Razak, said in a news conference on Saturday that it was possible the plane may have headed toward Kazakhstan or north of Thailand. Razak's submission, according to the New York Times, was based on information from satellite that the plane hovered over the middle of Indian Ocean, Kazakhstan, Jakarta, Indonesia and off the west coast of Australia, and flew four hours after it began a dangerous odyssey away from its original direction. What is still unclear is whether the plane's pilot and co-pilot have disagreement, and one of them in control decided on taking the aircraft and all the innocent souls in it to an unjustifiable end. It is still being debated whether a trusted pilot could have decided along the journey to do the impossible, based on a report that police have arrived the pilot's home; Malaysian media's report of a possible raid on the house and President Razak's mention that someone may have taken an action to change the course of the plane. Who could that person be and where could the person have taken the aircraft and the 239 souls in it? Some people doubt that the pilot could have committed such horrendous crime against humanity, while others say that in these days that evil walks the earth nothing is impossible and citing the recent Ethiopian co-pilot in a hijack report and diversion of a plane from Rome to Switzerland in search of asylum.